Before they had even finished their morning coffee one Thursday earlier this summer, 11 staffers of the nonprofit organization Care shuffled up a narrow staircase to the Bhakti Center, a Hindu monastery in the East Village. As they reached the second floor, they removed their shoes and sat quietly in a spacious room typically used for yoga. The employees, all of whom work on the company’s corporate partnerships, sat still until a man in a crisp white button-down shirt and olive-colored pants told them to close their eyes and begin a meditation. 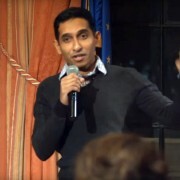 “As you breathe out, let go of all the things that are constraining you,” Hari Prasada, 31 years old, said in a calm voice reminiscent of a public-radio host. 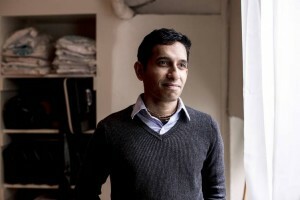 Mr. Prasada and his partner Rasanath Das, 36 years old, both former monks at the monastery, are the founding members of Upbuild, a Midtown Manhattan consulting firm that aims to help companies instill “mindfulness,” or a thoughtful approach to everyday actions and interactions, in their workers. It is a quality that Upbuild says pays dividends in the corporate world. Since launching in 2013, Upbuild has organized workshops for L’Oréal, General Assembly, Etsy and Novartis. It employs two other people in addition to its co-founders, and prices for its services start at $2,000 for keynote talks and go for as much as $15,000 for larger workshops. Mr. Das previously earned $170,000 a year at Bank of America before his dissatisfaction with the corporate world led him in 2008 to the monastery. “When I was working on Wall Street, year after year, I had a lot of stress, despite everything I tried to do. I tried to leave everything at work when I came home, but I carried all of those stresses with me all the time,” he said. For two years, he lived at the monastery but continued working at the bank. “I felt like I was living a double life,” he said. But that dual existence got Mr. Das thinking about how New York City’s fast-paced, competitive work culture could benefit from a dose of empathy. He met Mr. Prasada, who previously worked in the independent-film industry, in the monastery. 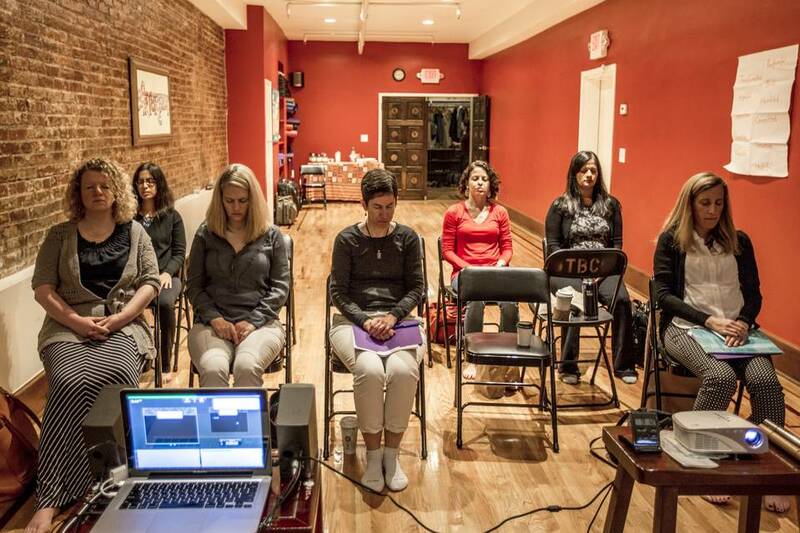 They began running mindfulness workshops for companies and felt they had a consulting opportunity, but they struggled to start a business in their new environment. “As monks, at a certain point, we felt very limited,” Mr. Prasada said. 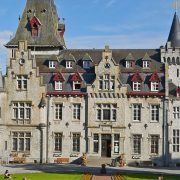 “We had to live a cloistered lifestyle, and there were so many difficulties of running a startup from a monastery.” They left the monastery to start Upbuild, but are still members of its community and are allowed to use its space for workshops. The firm’s workshops aren’t all meditation and talk about feelings. The two men are scientific about helping workers identify their personality types, in the hopes that the process will help them better relate to each other and their clients. “I felt like it was valuable to explore the various types of people we interact with every day and to gain greater insight into what makes people tick, and how to operate more compatibly with that understanding,” said Christine Schuster, L’Oréal’s senior vice president of education, who hired Upbuild to work with her team in June 2014. Office workers aren’t always game for a session on mindfulness, the founders said. Care first hired Upbuild to run a corporate retreat in 2014 and plans to continue working with Messrs. Prasada and Das. We are happy to call you at your convenience.